The New York Times has compiled a list of what they deem the five outstanding breakthrough performances of the season. It makes for interesting reading — sure enough, there are some performers from otherwise high-profile Oscar-bait films, but there are some surprises too. I’m pleased to see them singling out François Bégaudeau, the star and real-life subject of “The Class,” who projects remarkable warmth and gravitas on screen for someone who has never acted before. Meanwhile, their most under-the-radar selection is Freddy Rodriguez, apparently the standout of an ensemble pic I must confess I hadn’t heard of, called “Nothing Like the Holidays.” As a fan of Rodriguez’ low-key work in the much-missed “Six Feet Under,” I’m intrigued. (Shannon) provides some of the movie’s most thrilling fireworks … Playing a man who is mentally ill is an opportunity to chew the scenery, but Mr. Shannon does something else, infusing John with such tormented authority that the character becomes classical: he’s the movie’s Cassandra and Greek chorus at once. Well, that’s got my attention. In a lean category seriously wanting for contenders — beyond the slamdunk nomination for Heath Ledger — Shannon looks more and more like a surefire nominee. Read the rest here. I’ve always admired his work, it’s great to see him get some attention. so this writer has seen Revolutionary Road? Where’s the review? Just because someone has seen a film doesn’t mean the review is immediately up, Tony. We work in a business of nuance and embargoes. Patience. I’m always floored by Shannon’s work on the NY stage. “Bug” was a mind blowing experience on the stage and the film was under-appreciated, imo. I’m definitely looking forward to ‘Rev Road’ and his performance. He was really good in Bug! 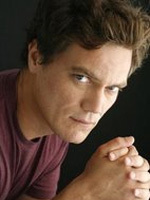 I was kind of skeptical about people mentioning Michael Shannon’s chances, until I realized he was That Guy – the one I’ll stay looking at the credits just to see who played the part. Hurrah – I’m glad he’s got a more high profile part. Yes, that NYtimes article was quite interesting. I am writing down my must-see holiday’s films for this year. I am really glad they recognized Freddy Rodriguez talent especially this is the first film he executive produced. Where I may to find blogs on this topic? He should be nomed for this breakthrough role. He was really good in Shotgun Stories but he is exceptional in Rev Road. I would really disrespect the academy if they really nom an undeserving new comer like Patel of Franco over him. Both gave good performances but to me Shannon is like Richard Jenkins. Some one who has been there in many good movies but never had his shot… Well Shannon got it and demolished it. The great thing is if you have seen his other performances he is really dimensional and Revolutionary Road takes him in a direction of unexpected power over a movie. Between Rev Road, Bug, and Shotgun Stories he should definatly find business rather pleasant.